I handmade this gorgeous jacket using an old pair of jeans and a lot, lot, lot of my creativity. The original pants that I used were created by ALVIERO MARTINI, with its famous fabric printed like an ancient world map (in ivory/beige shades). Made in Italy. Simple lines for an elegant woman who wants to impress! In front of the jacket there are one metal (original ALVIERO MARTINI) button and two hide snap buttons. Ruffled / balloon sleeves. Please look pictures carefully, this jacket is very detailled! Shoulder to shoulder 34 cm. All measurements are approx and taken laid flat. I think it will fit well a Medium size. It’s worn by Betsy (my mannequin) that measures 87–67–90 cm. I’ll ship it within 3 days of receipt of PayPal payment with priority airmail. Handmade dress in (double) dark grey soft cotton jersey, floral cotton (medium weight) for the skirt and leather and white lace belt. You can wear this dress as skirt too. Really nice! Hips up to 108 cm. It is worn by me (I’m a 40-42 or a small Italian size) and by Betsy (my mannequin) that measures 87–67–90 cm. Like a butterfly, you can fly with this dress. Light, feminine and so confy! 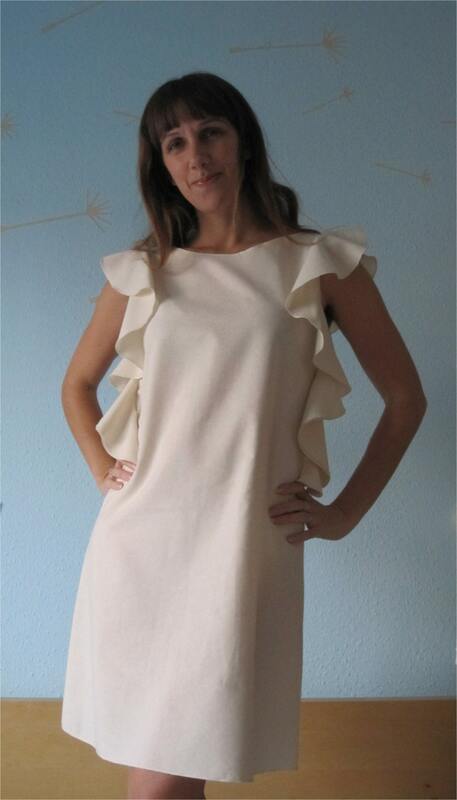 Hand-made with ivory high quality cotton jersey and unbleached organic garza (looks ivory not white) fabrics. The top is stretchable and confortable, made in double jersey. I have sewn about 3 meters of garza cotton fabric as a a scarf that you can cross on the front and tie on the shoulder. The skirt is made using 3 layers of garza cotton fabric. I have drawn and painted 5 large butterflies taking inspiration from the ukiyo-e japanese watercolour painting style. Please look at the pictures carefully, the shades and colors of the butterflies are really beautiful! Bust stretch from 70 cm. up to 95 cm. Each hand-painted butterfly measure approx 45×45 cm. It can be hand- or machine-washed, up to 40 ºC, and it can be ironed inside out, cotton temperature. It is lovely, soft and comfortable, perfect in any occasion! 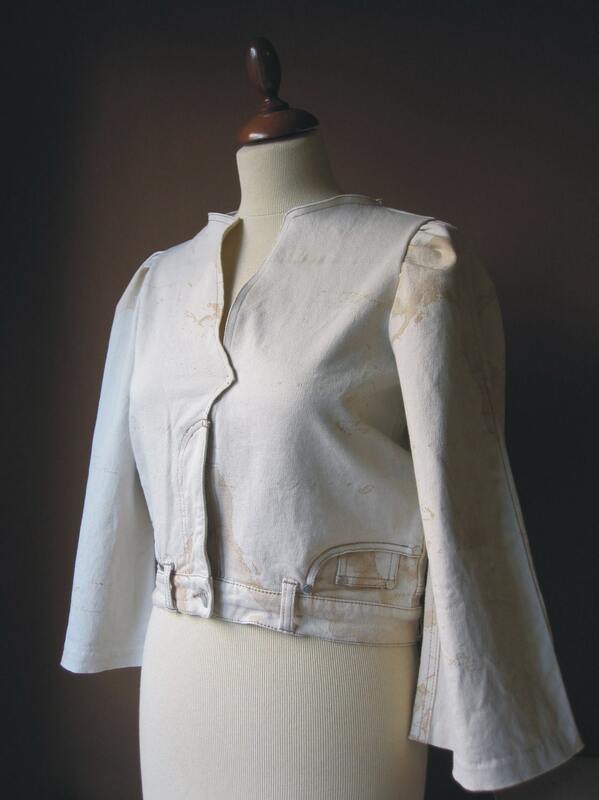 Handmade in 100% ivory cotton with ruffled short sleeves. It makes you feel like a butterfly! 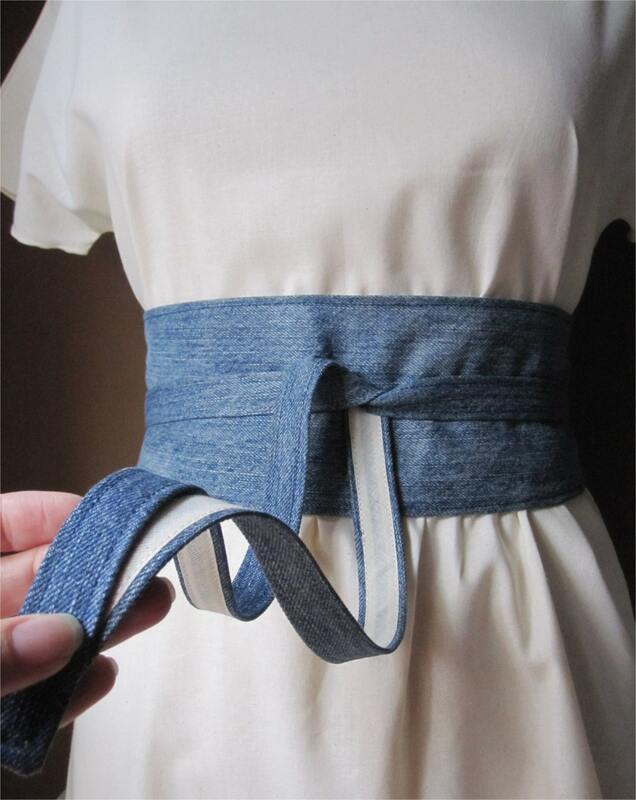 I handmade this beautiful obi belt using denim jeans cotton fabric in a medium blue shade. 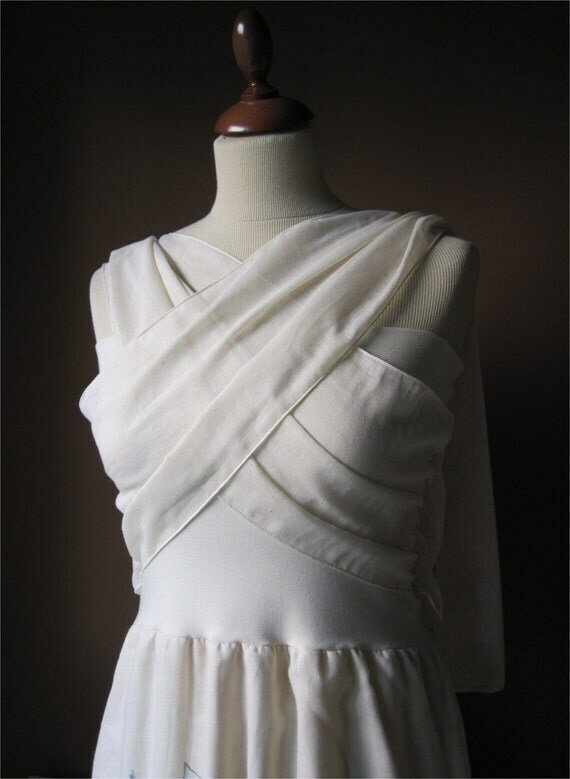 Lined with ivory unbleached cotton. It is long about 200cm (central part -waist- 68cm), wide from 5.5 to 10.5cm and can fit any size. The ivory cotton dress shown is not included. Contact me if interested, thanks! 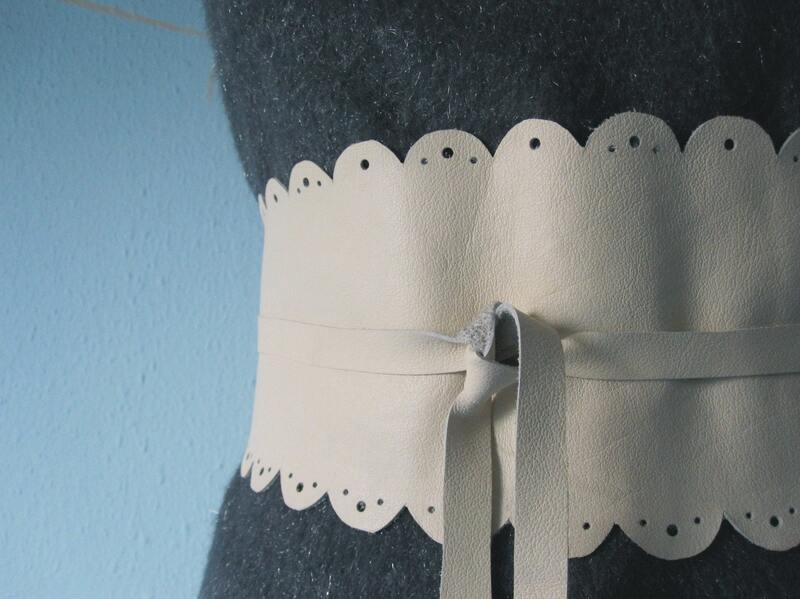 I handmade this romantic Obi belt using Italian leather in a beautiful butter color (a little bit darker than ivory). It is long about 225cm (central part -waist- 67cm), wide from 6 to 12cm and can fit any size. Please note that the belt shown has been sold. I’ll make another belt like this one expecially for you. The grey/blue dress shown is not included. Convo me if interested!